Israel's National Security Advisor to meet US counterpart in Washington to sign MOU on Iran as administration ups pressure on regime. Israel's National Security Advisor will travel to Washington DC to sign a Joint Memorandum of Understanding (MOU) with the United States government to counter the Iranian threat, according to a report by Channel 10 News Monday night. 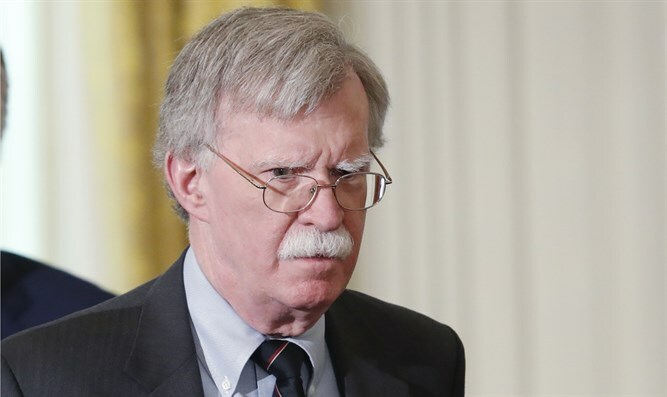 According to the report, National Security Adviser Meir Ben-Shabbat will meet with his American counterpart, John Bolton, to sign the MOU. The report comes three weeks after US President Donald Trump withdrew from the 2015 Iran nuclear deal, and one week after US Secretary of State Mike Pompeo detailed twelve steps Iran must take to reach a new agreement with the United States. The steps included the complete dismantling of its nuclear program, the end of ballistic missile tests, the cessation of terrorism across the Middle East and around the world, and a complete withdrawal from Syria. Ben-Shabbat and Bolton have spoken on the phone several times since Bolton assumed office last month. This will be the first meeting between them. The meeting will also deal with coordination of positions between the White House and the Prime Minister's Office regarding the Iranian nuclear program and the Iranian military entrenchment in Syria ahead of Prime Minister Netanyahu's trip to Europe next week.